Acczent 70 Contract Wood is a cost-effective wood effect floor with premium qualities. The collection includes over 30 designs inspired by nature, including realistic wood designs in both soft and dark grain hues, and a range of timeless mineral patterns in an assortment of sophisticated colours. 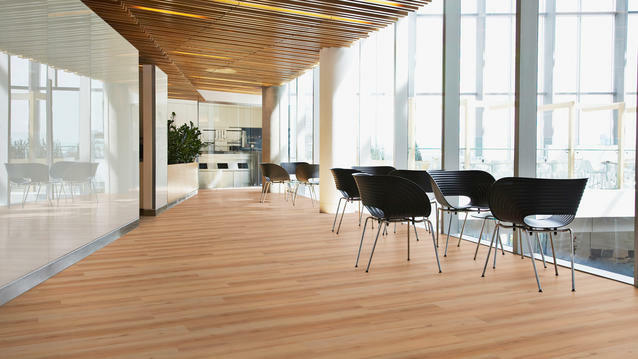 This floor includes a special grip to help protect against slips and falls, making it ideal for heavy traffic areas requiring extra safety. It is treated with our trademarked Top Clean XP surface protection for extreme durability and cost-effective maintenance.